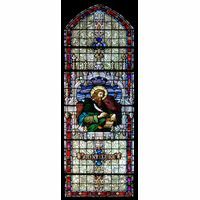 The eagle that represents Saint John the Evangelist is pictured with him in this glorious example of cathedral style stained glass. 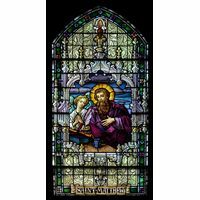 Framed by an intricate arched glistening band in shades of indigo and intricate design in white that sparkles and gleams with diamond like clarity and features symmetrical perfection that brings to mind great cathedral art of Europe. 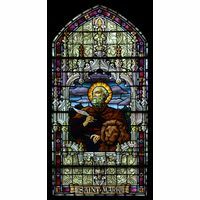 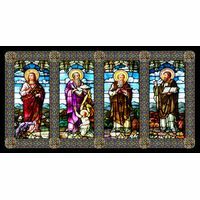 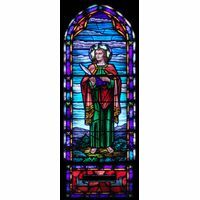 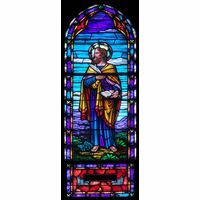 Perfect as part of a collection of stained glass depictions of the Apostles, this work also stands alone as an inspiration for worshipers in church, chapel or Saint John shrine. 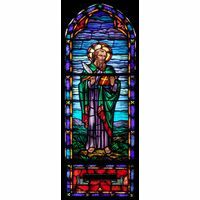 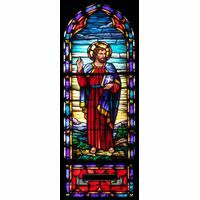 Flawless, realistic imagery brings this work of stained glass art to life for admirers who are blessed to experience its beauty, shot through with vibrant hues that cross the full spectrum of color. 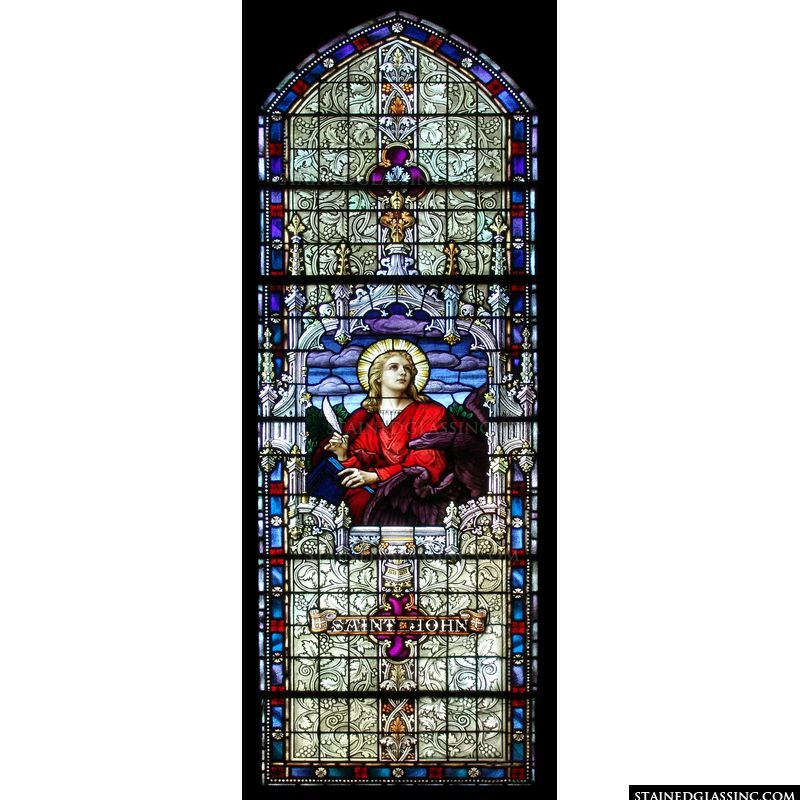 This panel was crafted as a unique, one of a kind work of art, by master stained glass artists, in the studios of Stained Glass, Inc.